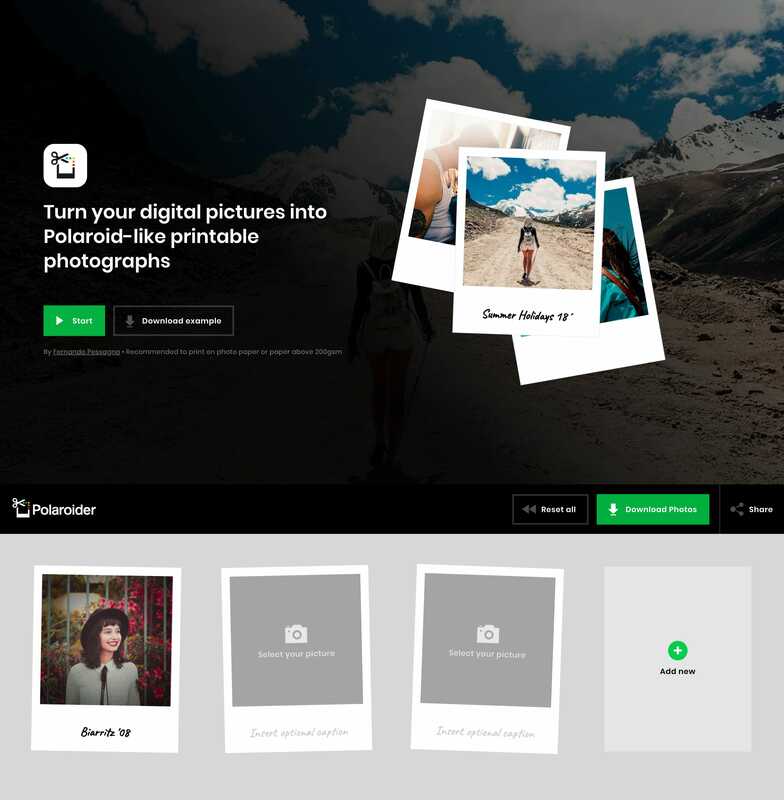 Slick One Pager for Polaroider – a neat web app to create polaroid-style images to print. You simply upload your images, add handwritten-style captions and generate a printable PDF. This is such a great follow-up by Fernando Pessagno to his impressive Résumé Maker I reviewed in August. If you’ve fascinated with the project make sure you read his full case study covering UX, skeuomorphism and more. Who said skeuomorfism was dead? It is true that it is no longer a popular design trend, but that does not mean that applying visual metaphors have no use. At the beginning of the project I worked to make sure that the experience was as intuitive as possible, although later realized that it would not be enough to reduce the perception of the inconveniences of having to print the photos... read more.